An application for a temporary use by-law has been submitted by IBI Group Inc. for a development at 1860, 1880 and 1900 Appleby Line in Ward 4 and the City is looking for your feedback. 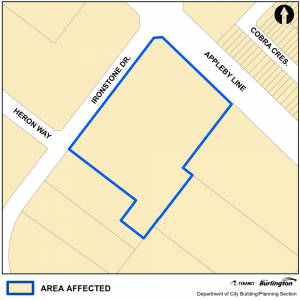 The private land owner has applied for a temporary use by-law that would permit the existing retail and service commercial uses on the property a temporary period of time, not exceeding three years. The property is developed with an existing retail and service commercial plaza that includes restaurants and office, commercial and retail uses. IBI Group had received approval for these uses through a variance application in 2014, which required the development of a four-storey office building on the property within five years. The office building has not been constructed and the owner is requesting the temporary use by-law to allow the continued use of the property and to extend the timeframe for development of the office use. There are no changes being proposed to the existing buildings or uses. The by-law would allow the current uses to continue while the land owner plans for the development of additional office use on the site. 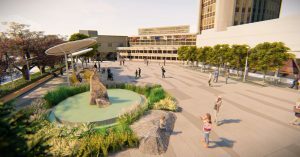 No decisions have been made on this yet and City staff are asking for public feedback before they make a recommendation to the Planning and Development Committee for refusal or approval. 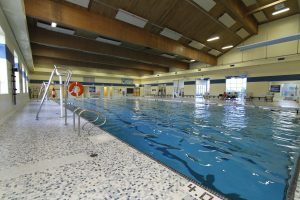 Your comments will be included in the staff report about the application, which will be posted on the City’s web site. The deadline for comment submissions is March 1, 2019. To view the complete notice, click the link for the development application at 1900 Appleby Line in Ward 4. More information is available online at www.burlington.ca/1900Appleby. I see no material damage due to the delay. The property parking today is often filled with cars, so any expansion the city should look closely at allotments for parking, or the entire development might be harmed, losing value to the city for business and employment if no one want to go there due to lack of accessibility. I’m curious, is there no penalty for not fulfilling the agreement to build the four story office building? Actually I think that one extension has been given and do not see that an additional extension does anything but prove that agreements are not binding. I would vote against. I feel that this additional time should not be allowed. It sets a precedent for other developers not to complete the entire project as specifically agreed to. Carriage Gate will fail to meet its obligation to the City of Burlington with the development of the condominium on Maria/Caroline Street. This condominium was to be built in conjunction with a 6 storey garage and an 8 storey medical building. Additional height was given to this developer, and in return the other 2 buildings were to be built. This has not happened to date. A $3,000,000.00 fine is what the developer will face if construction is not underway by 2020. To be effective the fine needs to be way more that $3,000,000.00 – this does not even represent the cost of 1 unit, and there is no guarantee they will ever pay the fine.